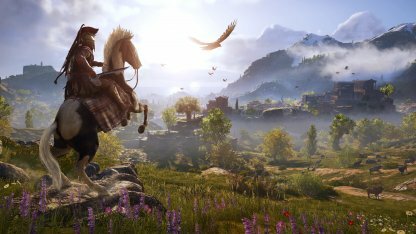 Learn all about the 3 endings you can find in Assassin's Creed Odyssey in this guide! This includes tips in getting the endings and what you need to do to get them! 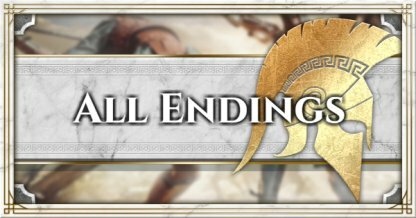 Complete the epic story of Alexios and Kassandra by unlocking the endings that can be found in the game! 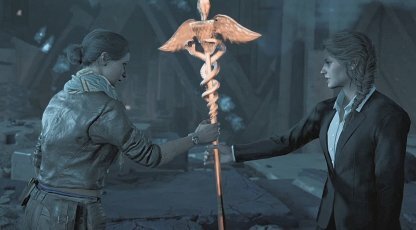 There are 3 endings that can be found in the game with each ending closing off an important chapter in their journey, such as reuniting with their family or getting revenge on the Cult of the Kosmos. There's no stopping players from doing the endings in any order. You can finish the Cultist ending before the Atlantis ending or vise versa and it won't be any problem. If you complete the 3 endings, you can still play the game after. 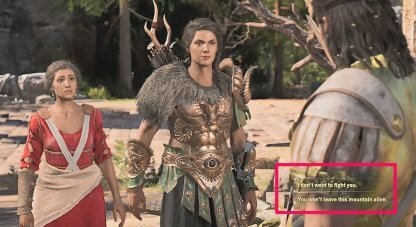 Unfinished side quests and other missions will still be available for you after finishing the endings. 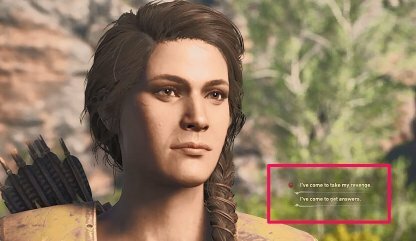 Alexios and Kassandra's goal throughout the game is to find answers to their family's fate. Complete the main quest to see them either with their whole family or without them depending on their choices. 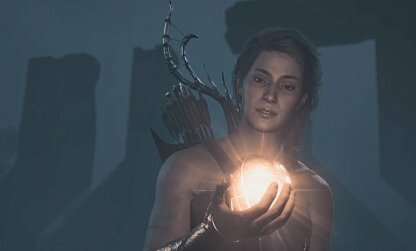 Major choices in the main quest will affect the outcome of this ending. Major choices include letting Nikolaos live and never giving up hope on Deimos. 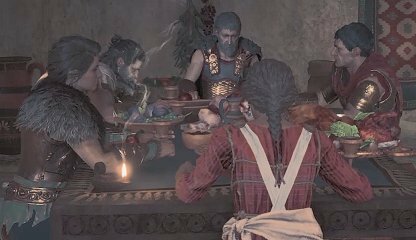 Doing everything to distance yourself from your family in the main quest will end with your character sitting alone in the dining table. 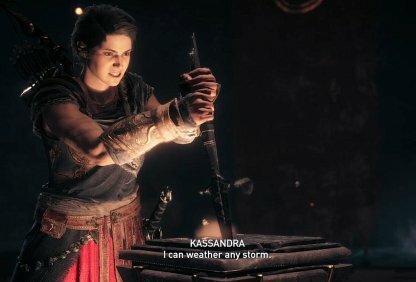 Getting this ending would mean being hostile to your family members. 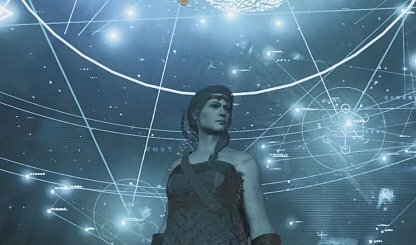 Get revenge on the Cult of the Kosmos for what they have done to your family by finally taking down their organization. 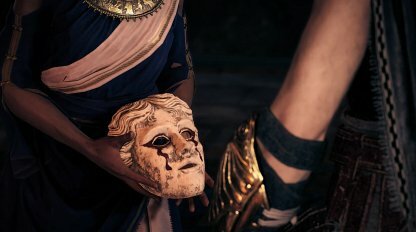 In this ending, you will unmask the head of the cult and decide their fate. 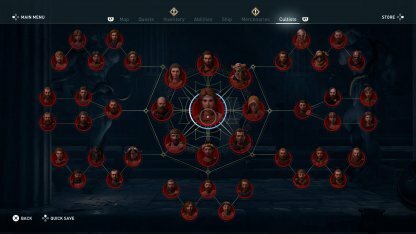 Kill the 43 members of the Cult of the Kosmos and you will get the location of the head of the cult. There, you will decide whether to kill the head or to let them go. 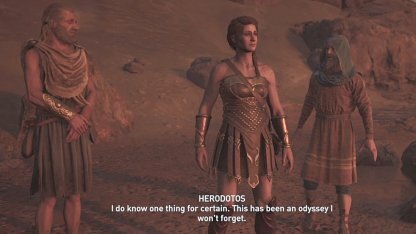 Seal off the knowledge that Atlantis keeps and find out what happens to Alexios / Kassandra in the future. This will also show the part Layla will play in bringing back the Assassins. To get the Atlantis Ending, players must complete the "The Gates of Atlantis" Quest and defeat the 4 mythical monsters guarding the artifacts. Activate the quest by going to the Volcanic Islands.